LAST LAKEFRONT & DOCKABLE lot on River Drive! MELTON HILL LAKE IS GREAT FOR BOATING, SKIING, FISHING, AND KAYAKING! The reservoir provides nearly 193 miles of shoreline and 5,470 acres of water surface for recreation. It extends almost 57 miles upstream from Melton Hill Dam to Norris Dam. 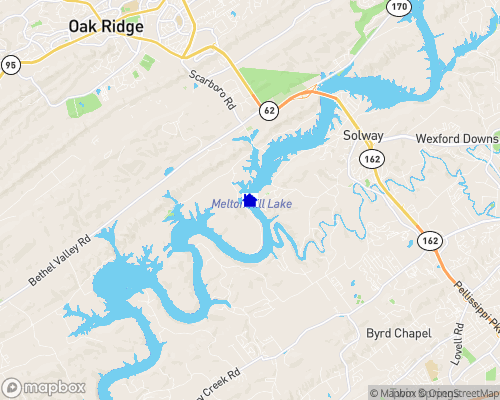 Melton Hill Lake also has seasonal access to Watts Bar Lake. Nearby amenities include; two public boat ramps, churches, antique shopping, camping, RV parks, hiking, mountain biking, golf, tennis, public pool, parks, soccer/baseball fields, 2 local rowing / sculling clubs, restaurants, shopping, brand new Wal-Mart Super center, etc! Enjoy Historic Clinton (loads of antique stores), Oak Ridge, Knoxville, and Turkey Creek shopping! Easy commutes! Perfect location in a great neighborhood! Minutes from Pigeon Forge, Gatlinburg, and Smokey Mountain National Park! Melton Hill Reservoir has a nationally recognized rowing course and is a spring training site for collegiate teams from throughout the United States and Canada. The reservoir has hosted a number of National Championships!